The third Sunday after Pentecost is of semi-double rite and its liturgical colour, from Mattins, is green. Vespers yesterday afternoon were second Vespers for the feast of St. Barnabas the Apostle. Thee antiphons Juravit Dominus etc were sung, doubled, with psalms 109, 112, 115, 125 & 138. The Office hymn was Exultet caelum laudibus. After the collect of the feast commemorations were sung of the Sunday and of SS Basilides, Cyrinus, Nabor and Nazarinus. The Suffrages were omitted. At Compline the Dominical preces are omitted. At second Vespers the antiphons Gloria tibi Trinitas etc are sung with psalms 109, 110, 111, 112 & 113. The chapter is O altitudo and the Office hymn O lux beata Trinitas. After the collect of the feast commemorations are sung of the first Sunday after Pentecost and of the following feast of St. Felix. At Compline the Dominical preces are omitted. 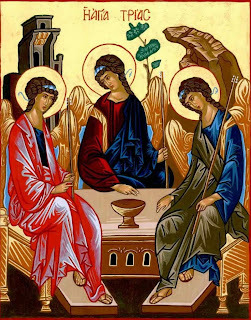 The feast of Pentecost is a double feast with an Octave preceded by a Vigil similar to that of Pascha. 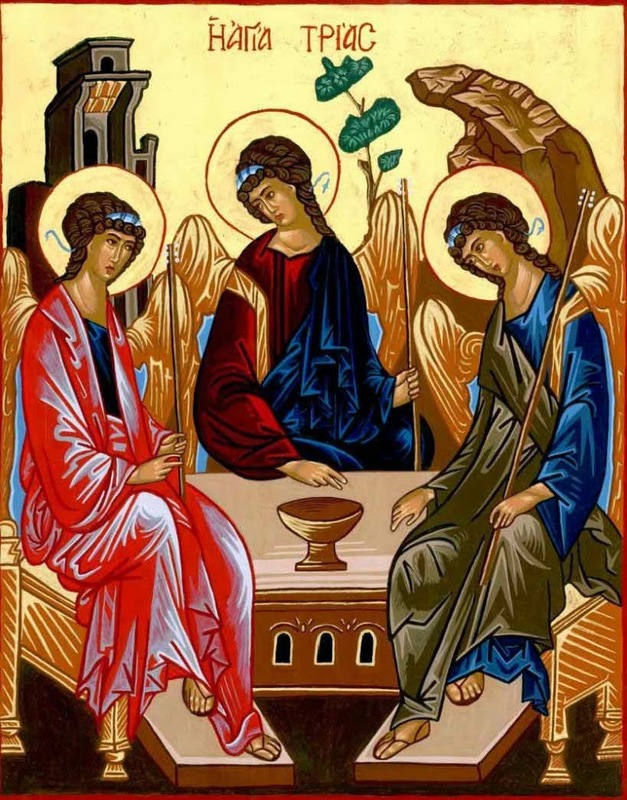 The liturgical colour of the feast and its Octave is red.